This complaint from Charles is an example of what can go wrong if you are denied boarding, but his actions kept the situation from getting much worse. Attached is a description of an incident which occurred with Delta Air Lines at the Baton Rouge, Louisiana terminal on Tuesday, November 17, 2009. I apologize for the length of this description, however I do want to present all of the things I feel are relevant. I booked reservations with Northwest Airlines for flight NW 4310 leaving Baton Rouge at 6:20 AM and for following flights. At the time of the reservation, I provided the airline with my credit card information and was advised that I had confirmed reservations and paid for tickets. I received a conformation by e-mail. I arrived at the Baton Rouge airport and checked one bag. I was given a boarding pass and a baggage coupon which indicated the $20.00 charge and a baggage claim check. I was advised by the Delta counter person that I was “all set” and should proceed to the gate area. After presenting the boarding pass and my ID to the TSA agent, I was allowed through the security screening and preceded to the assigned gate. The Delta agent at the gate explained that it was a small plane; gave me a claim check for my carry-on and told me to surrender it at the end of the ramp before boarding the plane. I was perhaps the fifth person in line to board and when I tried to board the gate agent advised me “that there is something wrong with your boarding pass” and then asked me to wait until the others had boarded. After the plane was loaded, the agent had to ask another agent why the boarding pass wasn’t valid. The second agent advised me that the ticket had never been paid for and I needed to give him my credit card to pay for it. After I did, he advised me that there would be an additional fee (I believe it was $35) since I was paying at the gate. When I objected to this, he told me there was nothing he could do about it, he then advised that it was too late to buy a ticket since it was within ten minutes prior to the flight departure. I asked the gentleman to at least get my checked bag off the flight, as there were no other flights to Tulsa that day and I would have to hurry and drive to the New Orleans airport for a flight on Southwest. My bag was returned to me at the ticket counter where I was originally issued my boarding pass. They had time to retrieve my checked baggage but didn’t have time to sell me a ticket. I asked to speak to the manager, and a man came up who did not have a name tag, and did not introduce himself. I believe that other counter attendant referred to him as Robert. I explained that I wanted compensation for denied boarding and Robert said it did not apply as the airline had done nothing wrong. I asked to see a written copy of Delta’s procedures on denied boarding and Robert refused. He then gave me a small note with a phone number and advised me to call Delta Customer Service if I had any complaints. I asked Robert if there was any federal agency I could complain to and he responded ”don’t bother – they ignore complaints.” I then asked him to at least issue a refund for the $20.00 they had charged for my checked baggage. 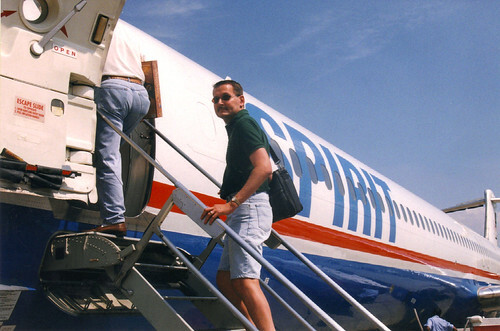 Robert went into an inner office, and some twenty minutes later, he emerged to tell me he had canceled the charges for the checked baggage and had double checked to make sure there were no charges on my credit card for the tickets. After my trip, using Southwest, my wife called Delta customer service at the number Robert had given me, only to learn that indeed there were charges for the tickets but the airline would issue a refund. It seems that Charles did everything right. The ticket was purchased ahead of time, he received confirmation of the purchase by email, and the check in and security screening process went smoothly. For whatever reason, the airline issued a boarding pass, and by the time Charles when from the check in counter to the gate, the airline decided to not accept the ticket. Unfortunately, there isn't much that Charles can do. Except for cases where a passenger is involuntarily bumped from a flight, there are no federal requirements for reimbursing passengers for delays or flight cancelations. If it turns out that the airline was mistaken about the ticket, then Charles may get some kind of compensation, but that would likely be up to the airline. Charles has certainly done everything to make that possible, including documenting the process. At one point after he was denied boarding, Charles asked to see a copy of the airline's denied boarding procedure. This was a reasonable request, and he should ask the airline in writing for a copy of their policy. We agree with the airline that complaining about this situation to a federal government agency will likely do little good. The most relevant agency is the Department of Transportation, and at best the complaint may end up in a statistical summary of airline complaints. The one recommendation AirSafe.com would give for requesting compensation from the airline is to be very specific in the request. If the airline were at fault, requesting a refund of any extra costs associated with the trip is reasonable. However, Charles may want to consider other compensation such as one or two round-trip tickets. The following is one from the archives, but it reminds passengers that sometimes crew members can be all too human. I wish to complain in the strongest terms about the customer service that I received recently on October 20, 2007 on flight UA846 from Buenos Aires to Washington Dulles. I was seated in seat 18F. The cabin crews were serving dinner. Up to that point service had been OK but somewhat short. The staff made repeated irritated announcements about not getting up when the seatbelt light was on and reprimanded a passenger for pressing the service light when the seatbelt light was on by asking the customer to put his hand up to identify himself. I know that it is a requirement for passengers to remain seated at these times but there are ways to make these kinds of announcements in a professional and polite way. The female cabin crew member was coming up the aisle serving dinner. I had taken one of my headphone ear pieces off so that I could hear her but I thought that she was talking to customers in front of me as she was not looking at me and I could not hear her above the cabin noise. I was shocked when I heard her reprimand someone for not paying attention to her but did not realize that she was talking to me until she walked past me without serving me (I was waiting expectantly with my table lowered). When it became clear that she was not going to serve me I asked her for a meal and she rudely replied that I should have paid attention to her. I did get my meal a few minutes later. She continued to provide unprofessional service to other customers throughout the flight. This is especially surprising in that she did not know at this point if I even spoke English. Her colleague, an older balding man with a mustache heard the interaction but did nothing about it. The man next to me in seat 18E and the two woman in the row behind me did hear it and sympathized afterwards (they planned at the time to send in complaints of their own). These two ladies kindly identified the hostess as Laura. I heard her and another male staff member be rude to several other passengers during the flight (in full view of their colleagues). As a final insult, near the end of the flight when the crew was picking up the leftovers from breakfast the same female crew member picked up my empty box. I also had a half full cup of coffee, just as I was lifting it to my mouth she picked it out of my hands while asking if I had finished. By the time she finished the question my cup was gone! The overall atmosphere during the flight was like a war zone, crew members against the passengers. It was such a relief to find that the staff on my next flight, to San Francisco, were normal – that is they were polite, respectful and helpful – everything that was lacking on flight 846. I plan to fly to S. America in both of the next two years, if I thought there was any chance of meeting this cabin crew again I would purchase my ticket from another company regardless of price. In 30 years of flying this is the worst customer experience I have ever experienced on an airline. This is the kind of situation that would likely be unacceptable to any passenger on that flight, even if the rudeness were directed at another person. While it may not make sense to complain to another cabin crew member, it would be a good idea to both document what you see as much as possible, and to file a complaint to the airline's customer service supervisor at your arrival airport. If that is not possible, contact some other airline representative. This complaint, sent in by Andrew, is a reminder that airline delays can cause serious inconveniences to many more people than just the ones on the airplane. I am writing this letter from (a hotel) in Charlotte, North Carolina, where it had been no part of my travel plans to find myself tonight. I am writing to protest and complain about the treatment I have received today from your airline. Yes, it was a good thing for your contractor, Air Wisconsin operating as USAirExpress, flight 3741, to have a pilot who set the plane down safely for an unscheduled stop in Greenville-Spartansburg not long after leaving Atlanta at 10:51AM on our way to Philadelphia (see flight data from FlightAware). After that, your company’s performance was poor. The USAirways staff at that location first informed us (after an hour or so on the ground) that our flight had been canceled and that new equipment was being sought. That would have been within the range of acceptable airline responsibility. It was quite a bit less acceptable to hear (after another hour or so) that instead, we would be taken by bus to Charlotte. We did not leave Greenville-Spartanburg until well after 2PM, now already 3 hours after leaving Atlanta. I was not offered and did not receive a meal voucher in Greenville-Spartanburg. After traffic delays, we arrived at Charlotte at around 4:20PM and I stood in line for over an hour and twenty minutes before any USAirways staff attempted to deal with my situation. We were told by staff there that no efforts at all had been made by anyone during our trip to find us alternative routing and that they would need to start from scratch. That waiting line did not move at all for a long time; a few of the more vociferous passengers seemed to get some attention, and some of them seemed to get onto new outbound flights. By the time I reached a podium, close to 5:40PM, I was told that there were no remaining seats on any flights from Charlotte to anywhere that could connect to Philadelphia flights for tonight. Between around 1PM, when it was known that no replacement aircraft was coming to Greenville-Spartansburg, and 4:20PM when we arrived in Charlotte, it should have been perfectly possible for USAirways to place every one of us on new flights to our expected destinations. It is a complete failure of responsibility to your passengers that this did not occur. Although I am alive and well, and our plane did not crash, I am in a hotel room in a strange city instead of being home in my own bed. I got $15 worth of meal vouchers that covered part of my dinner here at the hotel. I will also have incurred another day’s parking charges at the Philadelphia airport, for which I consider USAirways to be responsible. And even on the earliest available flight, I will not be able to get to work at the Philadelphia Veterans Affairs Medical Center in time to begin seeing patients on schedule. In addition to inconveniencing me, USAirways will be responsible for delaying needed care for our returning combat veterans seeking mental health treatment. Please consider me a very dissatisfied customer. The accommodations and vouchers received so far may begin to meet your statutory requirements but they come nowhere near addressing the breach in relationship and responsibility that your company has inflicted today. As a Philadelphia-based traveler, it is not easy to avoid USAirways, but you have given me every reason to try very hard to do so. As we have said before for previous delay complaints, US airlines are not required to offer any compensation whatsoever for passenger delays on domestic flights. That said, a reasonable airline would make reasonable accommodations for passengers who face more than a minor delay. In this case, getting passengers to their destination on the same day, would likely be acceptable to an overnight stay in a strange city, even if all costs were covered by the carrier. When faced with a significant delay or a diversion, if the airline is dragging its feet or otherwise does not seem capable of quickly getting you on an alternative flight, one action you can take is to call the airline's reservations department to see what you can arrange. If you can work something on the phone, then all you may have to do is get a boarding pass. If your airline can't arrange a flight, you may want to contact another airline that is serving that airport (either at the airport or by phone) to see if they have an alternative available. Your airline may not reimburse you for doing this, but if time is critical, the money you spend to get to your destination sooner may be worth it. You should also contact the airline's customer service department with details of the service shortcomings, and a very specific request for compensation. 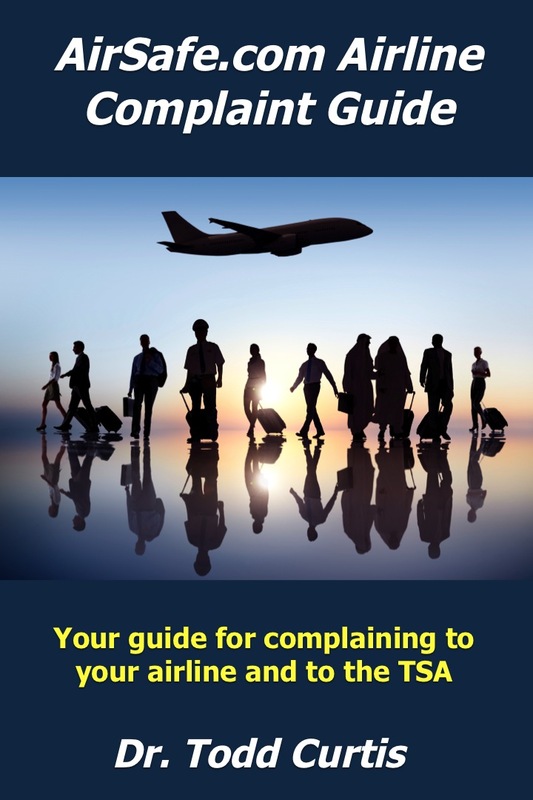 For details on what kinds of information should be in a request for compensation, visit the AirSafe.com How to Complain About Your Airline page. These two complaints from last week have a similar theme--mistakes on the ticket led to problems at the airport. Complaint #1: When I arrived at the Flint MI. airport I attempted to check in. For what ever reasons I could not check in on the kiosk. I then tried to check in at the desk. The airline personnel advised me that they did not have me. I advise them that I was seated in 16B. They still said that the did not have me. I Immediately went to my son's apartment to get the information that I had forgotten there. I hurriedly returned and showed them my confirmation. They claimed I had left off the J in Jones and it was listed as ONES. That was a terrible day for me trying to return to ATL. I was given a hard time with the staff that checks your bags. I almost missed my flight. And in a HURRY I had kept my son's keys in my purse. Not Knowing this, I received a phone call from my son with this info. I had to ask the Steward to allow me to get off of the plane to give my son the keys. He was so RUDE and of course I was embarrassed tremendously. I spoke with someone on the ground who said that they would give my son the keys. THANK GOD. Again I was very EMBARRASSED. The steward was just not sympathetic or empathetic to my situation. I spoke with a staff after I arrived who did comfort me. Now I do not want to ever get on Delta again and am requesting some kind of refund. Complaint #2: I admit I must have hit the date wrong on the crummy Delta Website causing a ticket to be reserved for Dec instead of today. It was a shuttle flight which was half empty on the BOS-LGA leg since it was a Saturday (7 November 2009). When I could not get a boarding pass online for the return, I realized that the wrong date was entered. The Reissue clerk (who would not even listen to my explanation without babbling on about the change fee of 150.00 per person, which would have cost an additional 300.00 for two uf us) simply refused to hear any plea EVEN IF THE PLANE TODAY WAS HALF EMPTY. I admit it must have been partially my mistake and partially their website mistake but come on 150.00 to change a ticket for the damn shuttle on a weekend. Always check and double check the information on any ticket order, especially the name, date and time of travel, flight number, departure airport, and destination airport. Especially important is your name since it must match the ID that all adults need in order to fly (while minors are not required to have an ID for domestic flights, it is a good idea to carry one if they have it). Unfortunately, if you don't follow the airline's rules, you are at their mercy when it comes to things like change fees. You can try to talk to a customer service supervisor at the airport, but if that doesn't work you, then you are likely out of luck. As for the rude flight attendant in the first complaint, it is unlikely that that passenger will get any compensation. However, rudeness should not be tolerated, so if you have a chance, talk to the head flight attendant on the plane, or a customer service supervisor on the ground. Cindy describes a situation that involved compensation issues for delayed flights, the airline's response to a perceived medical issue involving Cindy, and the airline's response to her situation. As we were all boarding the airplane and I was seated,a lady sat next to me. I have been having sinus problems and they were draining and making me cough and my head hurt. She asked me if I was feeling okay and I said no but "It's not the flu." The lady jumped out of her seat and ran up front to a vacant one. The flight attendant talked to her about it and the next thing I knew the same flight attendant told me to put on a mask. I tried to tell her I wasn't that kind of ill and showed her my Advil sinus and cold pills I've been taking. She insisted I wear it and I asked if I could just hold it up to my mouth because I am allergic to latex and was afraid the rubber bands would cause skin irritation. She replied that I wasn't being cooperative and causing a disturbance which was going to result in my being removed from the plane. I still was afraid to wear it but continued to hold it against my mouth. The next thing I knew was the plane was being turned off the runway and parked at the terminal while everyone on board was groaning about missing their connections. The flight attendant then told me to follow her to the front of the plane while I held the mask in place. As I walked down the aisle I was so embarrassed and humiliated as everyone in the aisle seats leaned away from me. When I got to the front a man told her to take me back to my seat, that the medics would check me out back there. So I returned to my seat which was only 2 or 3 rows from the end of the plane, so once again I had to walk past all the people in total humiliation as they all stared at me. Then after I was seated again, I was told they changed their mind and I needed to walk forward again only this time she carried my bottle of water from the front pocket of my seating area. I said to her "I guess this means I won't be coming back" and she said nothing. I was so terrified of what was going to happen to me and whether I was going to end up at a hospital or left at the airport to sleep on the chairs or how I was going to get back home. I did my best to remain calm and put on a brave face and comply with all that was being asked of me but inside I was a nervous wreck and trying hard not break down in front of everyone. As I was forced off the plane I saw a group of men wearing masks and standing next to an extremely scary looking contraption they proceeded to strap my legs and waist to. I was so frightened, my legs were shaking as they all started sticking things to my body and asking me questions. It felt like I was having a horrible nightmare and couldn't wake up. Finally after what seemed like an eternity they cleared me to get back on the plane. For the fourth time I had to walk down the aisle in embarrassment. After we took off and it became dark and I was hoping no one could see me, did I then finally let my emotions loose and silently cried during the whole flight. Needless to say almost everyone missed their connections after we landed late, I was one of them (According to FlightAware.com, this United Flight 7316 left 58 minutes late and landed 47 minutes late at 9:29 pm local time). It was almost 10:00 pm when I was told the next flight out wouldn't be till morning. The three people I had been traveling with were mad at me because they had to be at work in the morning, so they called a friend to drive two hours to pick them up and United told they would have their money refunded from the trip. The customer service man gave me the tickets for a hotel room, flight pass and a meal ticket. I told him about my ordeal and asked if I could be refunded for my flight costs and he said no, but instead gave me a $150 credit voucher. Since I drove them in my car to the airport I was stuck having to pay for the almost $50 parking lot fee and gas which one of my traveling companions was supposed to pay on the way home. This whole experience has left me feeling traumatized and I feel that after what I had to go through I should be totally compensated for my flight costs and above mentioned additional monetary costs. I truly believe That I deserve at least that much. This raises three issues. 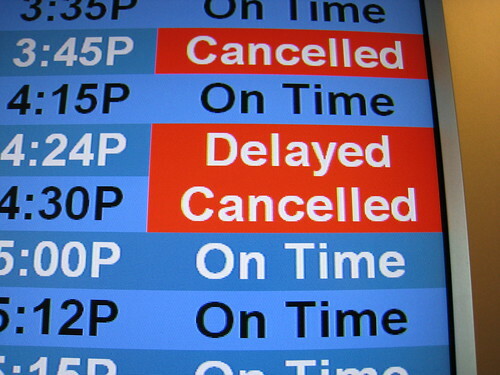 Compensation questions concerning delayed or canceled flights come up frequently in the AirSafe.com Complaint System, and was stated in earlier articles, US airlines are not required to offer any compensation due to a delayed or canceled flight. The airline was not required to give compensation in this case, though the different levels of compensation may represent a fairness issue best dealt with by contacting an airline manager in the customer service area. The second issue is passenger compensation for treatment by airport or airline staff. The passenger in this case felt traumatized and embarrassed by what she had to go through, but there is no specific FAA rules for compensating passengers who have this kind of experience. If a passenger is seeking some kind of apology or compensation, filing a formal request with the airline may be one option. - Separate the ill person from others as much as possible (at least 6 feet) without compromising flight safety. - Have the ill person protect others by wearing a face mask, if it can be tolerated, to reduce the number of droplets coughed or sneezed into the air. AirSafe.com found no CDC guidance that called for what the airline apparently did, which was to taxi back to the terminal for further medical screening. The CDC stated that an airline's captain is required to contact the CDC if there is a suspected H1N1 infection on an international flights flying to the US, and the CDC in such cases may arrange for appropriate medical assistance, but no such guidance was found for a suspected infection on a domestic flight. For more videos, visit the AirSafe.com YouTube channel. Michael sent in this complaint about a recent flight from Mexico that included significant delays and extra unexpected travel expenses. On a flight from Cancun to Dulles connecting to Norfolk, VA (UA 7709). The airplane arrived at our Cancun departure point about an hour late. the plane experienced a minor mechanical problem that lasted another 20 minutes of delay. We finally departed Cancun about 90 minutes late. About 80 passengers missed their connections in Dulles, me included. The United customer relations people booked us all for a flight the next day. We, however, we were told to pay for own hotel rooms because the delay was due to ATC (air traffic control). Well, I say it was due to a late arrival at Cancun and a mechanical at Cancun. Even the Captain said we were delayed for a mechanical. I was an airline pilot for 5 years and no way was ATC to blame for this delay. There were also about 20 of my co-worker pilots on board that will attest to these facts. United is trying to use a bogus ATC delay to avoid paying for their shortcomings. So, I am paying for my own meal and room. 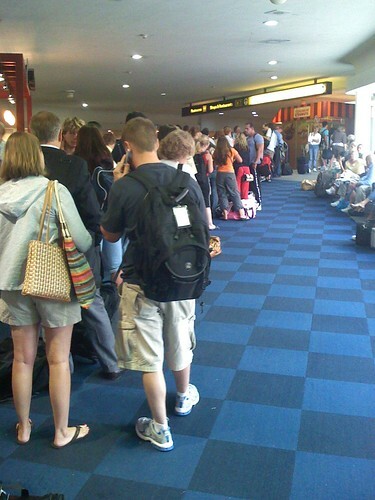 The sad fact is that it does not matter why the plane was delayed because for the most part airlines that fly in the US are not legally obligated to provide any compensation for a delayed passenger, even if that delay results in a missed connection or unexpected hotel charges. It is possible that an airline will offer some kind of compensation, but that is up to the airline, or more likely the top airline customer service representative you can find after you find out you will be delayed. AirSafe.com goes into some detail about when you can get compensation from a US air carrier, typically for cases where you are bumped from an oversold flight. I traveled from Boston to Bangalore by Lufthansa flight Flight LH 0421 (Boston-Frankfurt) and Flight LH 0754 (Frankfurt - Bangalore). I checked my baggage in Boston on October 7th 2009 and collected it in Bangalore international airport upon arrival. My baggage has been opened and items from my baggage were pilfered and stolen. Now it seems no one wants to accept responsibility for this theft. Since everyone claims to not be liable it is apparently acceptable if employees help themselves since no one has to be held accountable. How is that right? Someone needs to make restitution for these items. I'll never feel safe leaving my luggage in the hands of airlines again. They should be held responsible to refund full face value of any items stolen. This person had enough time to go through and decide what he needs and only took the right things. So much for airline security!!! It seems to be a free for all at travelers expense. One would think an airport has thousands of security cameras in it, someone should be able to determine what happened. Who has access to these cameras? So if they can take items undetected from luggage that means they can also place items in. So how is that secure? Your bags could be transporting who knows what from point A to point B and you would never know. This passenger brought up two general issues, flight security and airline responsibility for lost and stolen items, implies two other issues, the role of the airport and the passenger's role in protecting a passenger's property. While the passenger's baggage was opened at some point of the trip, it was not clear that it happened at the departure airport, the transfer airport, or the destination airport. We suggest contacting the TSA Claims Management Branch, and following their procedure. You can also contact the TSA at 866-289-9673 or TSA-ContactCenter@dhs.gov to report specific violations and concerns about security. AirSafe.com has no equivalent contact information for Germany (Frankfurt) or India Bangalore). Because the thefts may be by airline or airport staff or their contractors, you should contact the airlines you used, and representatives of the airports where your baggage traveled, and file the appropriate reports. For information on what compensation you can get for baggage issues on international flights, visit AirSafe.com's main baggage page. This passenger's experience is very similar to the FlightsGoneBad.com article about the airline losing a bag with keys inside. AirSafe.com's response is virtually the same. 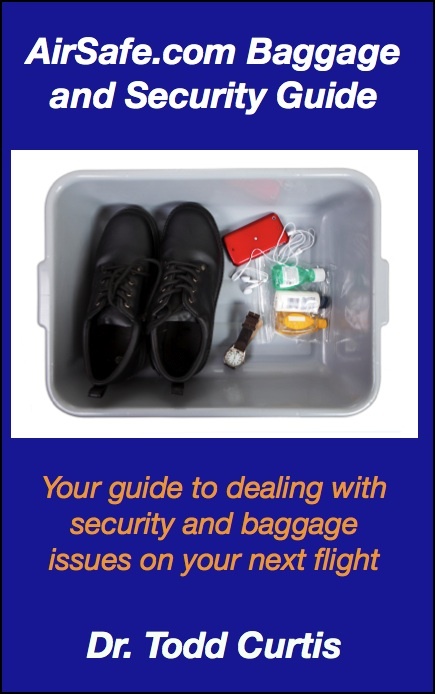 If you fly often enough with checked bags, eventually you will have one lost, delayed, or stolen, so prepare for that possibility when you pack. AirSafe.com recommends that some things should never go in checked luggage, and should always stay with you in a carry-on bag. The kinds of things you should not put in checked bags include medicine, computers, electronic files, legal documents; credit cards, checks, or other financial documents; cash, jewelry, keys, and items of great sentimental value. In many cases, airlines may not provide compensation for some types of valuables. Cash and jewelry are two examples. Also, it is very unlikely that a passenger would get compensation for the value of any lost data on the laptop. First off. I arrived at the airport in Albany, New York. I went threw the security check point and was singled out because I am gay. Then when I asked nicely for the mans name and badge number he laughed and gave me nothing. I asked again for his name and badge number. He never gave it and ordered me to step threw the air sensor to check me for explosive residue. I asked to speak to his manager, boss, or who was in charge of him. Still nothing was given except his first name. As an employee of the federal system of TSA he is by LAW REQUIRED TO TELL ANY PERSON HIS NAME AND BADGE NUMBER WHEN ASKED BY ANYONE!!!! I was not given said information and I am really upset with the actions they took and the information they did not divulge the requested information. If you need additional information, you may contact the Office of Civil Rights toll-free at 1-877-EEO-4TSA (4872). If you leave your name, number and the best time to call you back, someone will return your call. In addition, AirSafe.com recommends that you document as best as possible the circumstances of your incident. Visit the AirSafe.com complaint page for further suggestions. A recent article from the MyBottlesUp.com blog discusses an October 15, 2009 incident where the TSA violated its own policies and separated a mother and child during the screening process. The TSA's web site claims that they "will not ask you to do anything that will separate you from your child or children. ", but in in the case of one woman at Atlanta's Hartsfield Airport, that was clearly not the case. According to the article, after metal in the child's metal pacifier clip set off the metal detectors, mother and child had to wait further screening by the TSA. During that process, one of the agents took the child away from the mother. 1. Get through the situation as best as possible with your dignity and sanity intact. If you can, contact a supervisor to help you resolve the issue. 2. Take the time to document the event as well as possible, including the names of the TSA agents involved, a description of what screening area you were in (many airports have more than one), and the time and date it occurred. 3. File a formal complaint with the TSA. There is no clear complaint process for this kind of situation, but you could try filing a discrimination related complaint, or TSA's generic online complaint form. In any case, make sure you keep a copy of anything you submit. Do you have any suggestions for parents, or for the TSA? How about sharing your opinion about the TSA's policies? Feel free to leave your comments. Our thanks go out to Ksenia Coffman who pointed out that the TSA has discussed this same incident in their blog. If you go to the TSA blog for 16 October 2009, you will find an variety of information, including multiple video recordings of the event. We invite you to review both blog posts, and to come to your own conclusions as to what happened in Atlanta. No matter how this matter is finally resolved, the points mentioned earlier in this article are still valid. If you experience what you think is unfair or unlawful treatment at the hands of the TSA, take the time to carefully document what happened and to take appropriate steps afterwards, from filing formal complaints, to taking legal actions, to publicizing your experience. As this event shows, anything that is in the vicinity of a TSA screening area may be recorded and may become public later. The airline did not have my bag when I came back from a military TDY trip. I explained to them at the desk that all of my car and house keys were in that bag and I needed it, and would have no way to go get it. They told me that they would bring it to me. They said they had another flight coming in this morning and would make sure my bag was on it. They took down my address and number and said they'd call me before heading out to bring me my bag. Then today when I called they said they wouldn't bring it to me because I was outside of Manhattan city limits, and that if I wanted it I could either pay for a cab myself or they could FEDEX it to me, but they would not be paying for expedited shipping and it would not be going out until Monday. I'm Active duty Army, just returned from a mission and Great Lakes will not drive 15 miles to bring me my bag with my car keys and mission essential items. I do not have $100 to spend on cab fare. If you fly often enough with checked bags, eventually you will have one lost, delayed, or stolen, so prepare for that possibility when you pack. AirSafe.com recommends that some things should never go in checked luggage, and should always stay with you in a carry-on bag. The kinds of things you should not put in checked bags include medicine, computers, electronic files, legal documents; credit cards, checks, or other financial documents; cash, jewelry, keys, and items of great sentimental value. As for the airline rules on returning bags, remember that each airline has their own rules for returning bags, and those rules will often depend on what resources the airline has at your destination airport. Unfortunately, you usually don't find out what rules will apply to you until you have a lost bag.